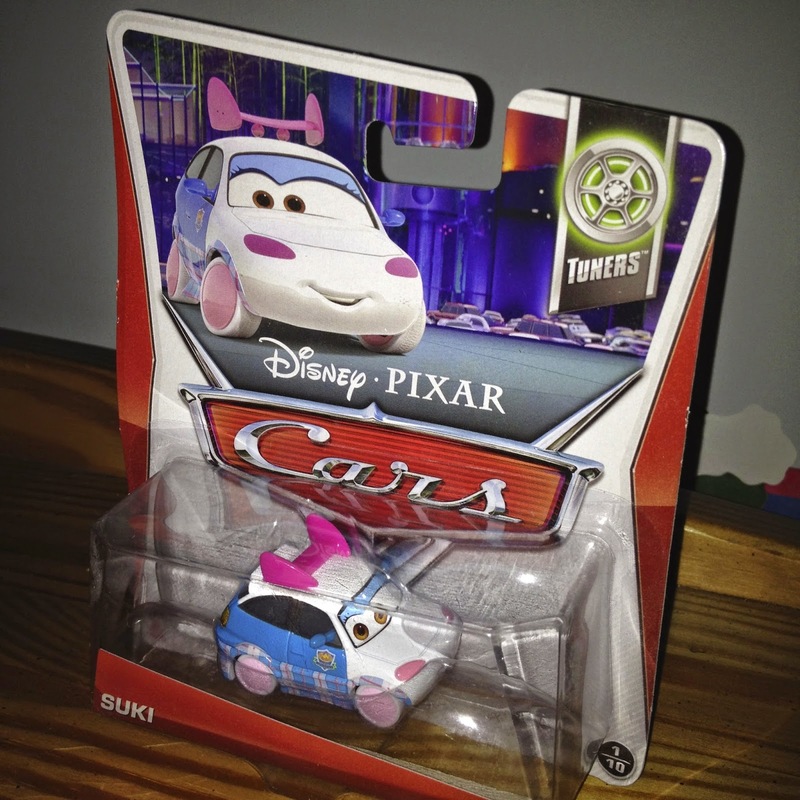 From last year's Mattel Cars / Cars 2 collection, here we have the 2013 1:55 scale diecast re-release of Suki (from the "Tuners" sub-series #1/10). 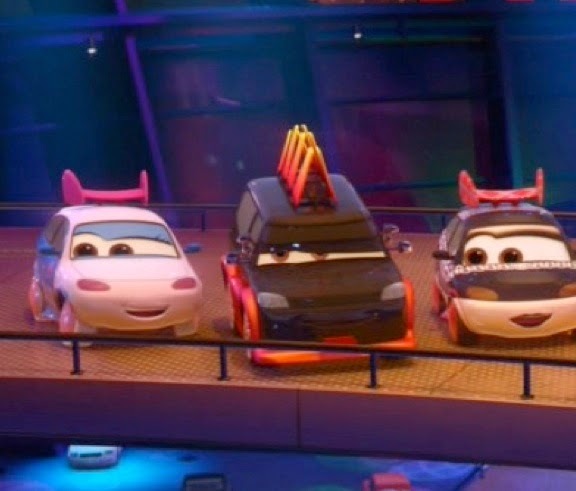 She was first available in 2012 as part of the original Cars 2 line (#44) and has just been released again this year in the 2014 line. She has seen her fair share of releases over the years for such a minor character! In the film, she is briefly seen during the Tokyo party (screen shot above) and also appeared on the streets during, what I call, "the Tokyo arrival montage" (also a very brief appearance). If you missed Suki at the store, or would just rather pick her up online, be sure to head to Amazon or eBay for the best prices.